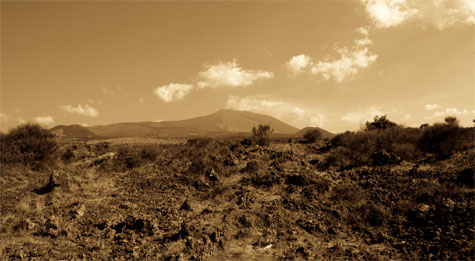 The name Salvo Foti is synonymous with the volcanic vineyards of Mt Etna. Born and bred in Catania, Salvo has a deep connection with the northern slopes of Mt Etna and the wines from his I Vigneri label are a reference point for traditionally made wines in the area. Salvo created the I Vigneri association and label as a vehicle for growers and producers to keep their traditional grape growing methods and winemaking techniques alive and highlight the uniqueness of their incredible history. There are seven producers under the I Vigneri label including Salvo’s personal wines which are offered here. Salvo only works with the vines trained in the traditional alberello (bush vines) training system which is typical of the area, the vine is supported by chestnut wood stakes. All of the vines are worked organically, vineyard work is done by hand by the 30 strong I Vigneri team along with Ciccio the mule. The winemaking is very traditional with spontaneous fermentation in concrete and old oak, no temperature control, no fining, no filtration and only a very small addition of sulphur dioxide at bottling and bottling is done according to moon phases. We have shipped three of Salvo’s wines which represent a very pure representation of their site and the overall uniqueness of their territory.